In the Media and Entertainment industry, it all comes down to acquiring and retaining audiences. The higher the audience value, the better. 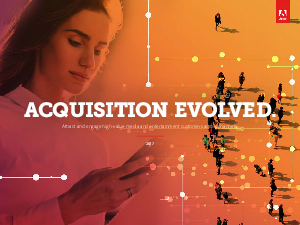 Our guide, Acquisition Evolved, gives you a four-part framework to identify and engage high-value audience segments across channels that drive engagement, subscriptions, and advertising opportunities.